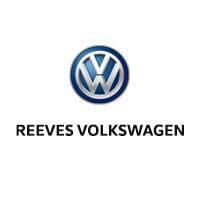 At Reeves VW, we understand that purchasing a brand new vehicle is not for everyone. After all, a new car is a huge investment — fortunately, it’s not the only option. If you’re shopping around a vehicle, but you’re worried that you may trade peace of mind for affordability, you’re in luck. When you shop our certified pre-owned inventory, for instance, you will not only find a number of affordable models from Volkswagen, and other top automakers, but you will also gain peace of mind. Whether you’re in the market for a crossover model like the Tiguan, a midsize sedan like the Passat or a sports car like the Golf GTI, you will be pleased to find all of the above and more within our certified pre-owned inventory at an affordable price. We are also happy to inform our readers that our certified pre-owned vehicles come with a number of money-saving benefits including a warranty, roadside assistance, and more. Our showroom has been helping drivers in Tampa and the greater Clearwater, St Petersburg, Wesley Chapel and Greater Northdale region take the driver’s seat of certified pre-owned vehicles for years — and we can’t wait to help you do the same. When you’re ready to learn more about our certified pre-owned lineup, come join us at our 11333 N Florida Ave location in Tampa.